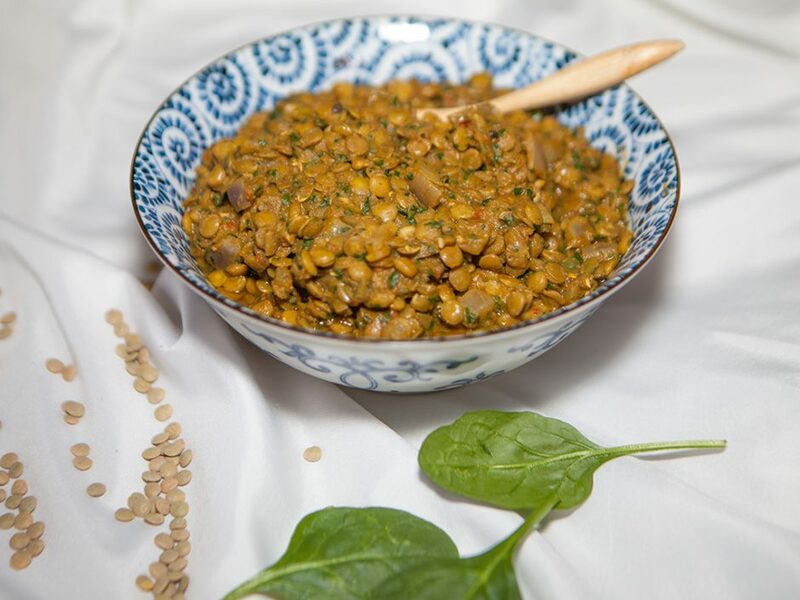 Lentils are always in my kitchen cupboard and are a staple in my diet. 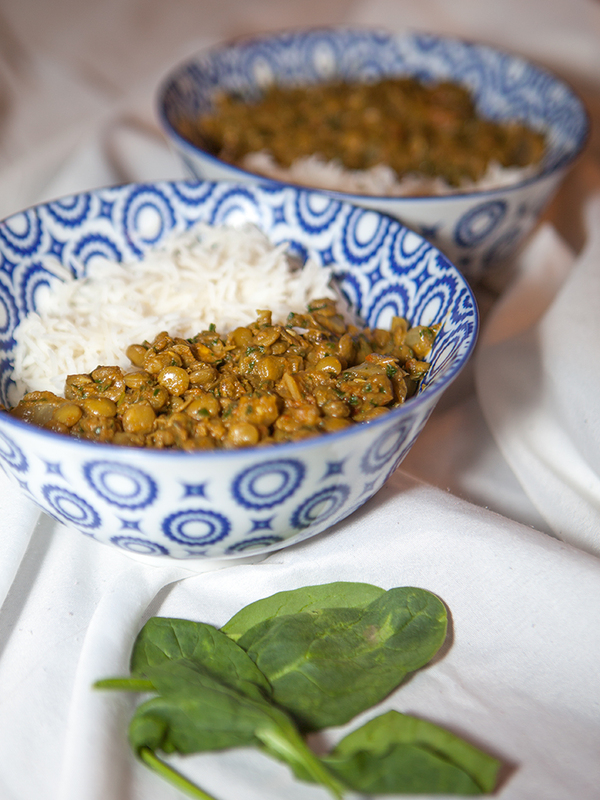 This simple lentil curry bursts with flavor. I use a lot of canned coconut milk in my curries but this time I thought I would try creamed coconut. 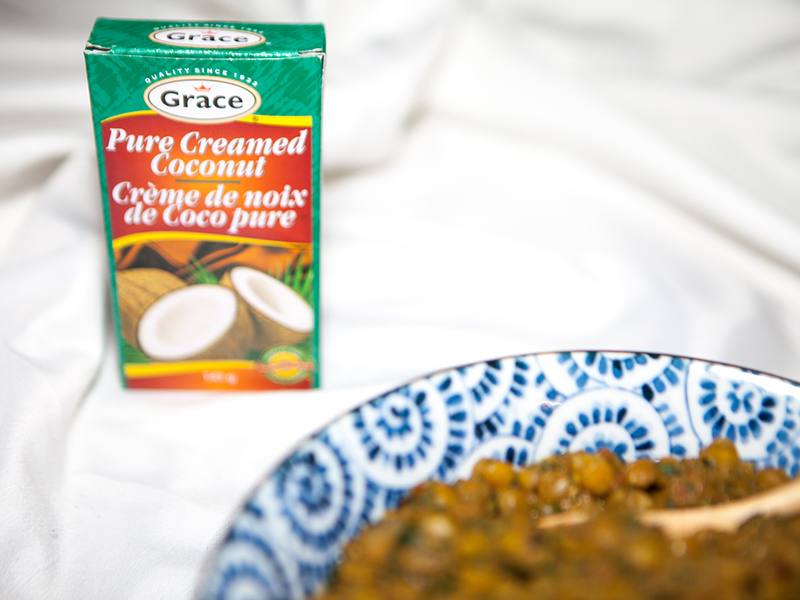 Creamed coconut is a coconut product. It is the unsweetened dehydrated fresh meat of a mature coconut, ground to a semi-solid white creamy paste. It is sold in the form of a hard white block which can be stored at room temperature. Place the 1 cup of canned tomatoes in a blender and puree to a smooth blend and set aside. Place the spinach in a food processor and process until it’s finely minced. Set aside. In a large wok or pot heat the olive oil and sauté the onions and garlic. When onions are translucent and fragrant, add the crushed chilies, ginger, cumin, turmeric and coat over onions and garlic. Then add the green curry paste and mix together. Add lentils and coat in curry mixture, and then add the 3 cups of veggie broth with the cup of blended tomatoes. 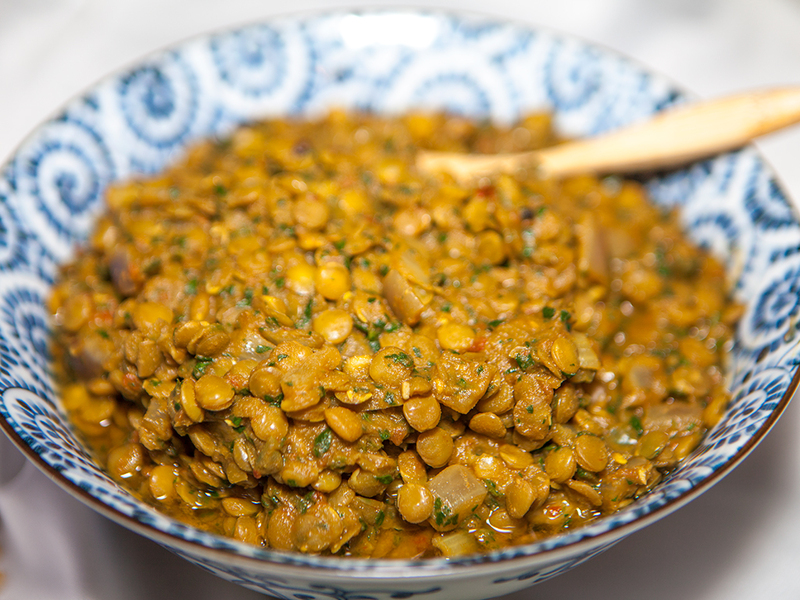 Bring to a boil then simmer for 20-25 minutes until lentils are soft and some of the liquid is evaporated. Add the 2oz of coconut cream. Stir it around until melted. This will give the lentils more of a cream base. Then add the spinach and mix in.